One of Sweden’s most well known cultural figures is a member of the Swedish Humanist Association, (an IHEU member organization). Björn Ulvaeus is instantly recognizable to most Swedes and many others as one of the four members of the super-group ABBA. Together with his fellow ABBA member Benny Andersson, he wrote the musicals “Chess” and “Kristina”. Now he is involved with the hit musical “Mamma Mia!” which has been seen by 25 million people around the world. Chairman of the Swedish Humanist Association, Christer Sturmark, meets him for an interview about religion, politics and the humanist view of life. He meets a man who doesn’t believe in any of the gods described in the world religions and has a great engagement in humanist issues. Christer: Björn, you are a member of the Swedish Humanist Association. Tell me why you have chosen to commit yourself to these issues and why you think they are important? Björn: Because I have noticed how religion is becoming a power in politics and is also competing with the scientific way of thinking. That worries me. I have always been a huge friend of “the Enlightenment” and of science. When I have seen irrational, religious conservative values and hostility against science influencing society, I searched for an organization that deals with these questions. 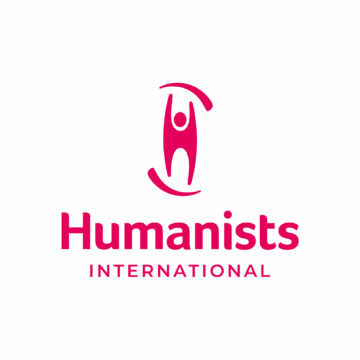 I found that Swedish Humanist Association existed and what they stood for, and as a result I became a member. I miss those days when people believed in science and common sense as in the Fifties and Sixties. Now fundamentalism and contempt for science seems to be spreading. I believe that religion should be totally separated from the state. That’s not the way it is today, not even in Sweden. For hundreds of years we have struggled to achieve a secular society, and now we seem to be going backwards. I find it quite astonishing that more women don’t stand up to these questions. I believe that religious faith schools are highly dubious. I also think that it’s absurd that organizations that have secular aims in view, for example Swedish Humanist Association don’t get the same government grants as similar organizations, because they don’t conduct services. Perhaps we should start holding gatherings where we pay our respect to Voltaire! Christer: Why did it turn out like this? Björn: Contempt for science could perhaps depend on the fact that, science hasn’t been able to solve any of our basic problems, for example the environmental pollution or the problems with HIV and AIDS. This is the worst disease of our time, and scientists are lost. I believe that many people are disappointed with science when the answers we need are not delivered. I also believe that the atomic bomb and other weapons of mass destruction show that science can be used in evil ways, which also contributes to the disregard. As far as religious fundamentalism is concerned it might be due to the globalization and the fact that many people feel insecure in a world that is rapidly changing. In crisis of identity people often turn to their religious origin. Christer: Do you consider yourself being an atheist? Björn: Well, I’m an agnostic leaning towards atheism. I don’t I have, and I think I cannot have, a clear view of god’s existence. I do not believe in the god that is described in the Middle East religions or in any other religions for that matter. I’m not denying that there is something out there, but I don’t think that we should try to explain and understand what it might be. If atheism means that you’re categorically denying God’s existence, I wouldn’t go that far. The problem with fundamentalists is that they generally believe that God exists and what his wish is. I would like to say I’m a “free thinker”, a better word than both agnostic and atheist. Maybe it should be reintroduced in our modern vocabulary. Christer: Which questions in today’s society do you think are the most important when it comes to religion, view of life and politics and where is the dividing-line between freedom of religion and society’s principles concerning freedom of speech and human rights? Björn: I’m so incredibly tired of giving respect to a lot of delusions and crazy ideas just because they are regarded as religions. The private faith shall of course be respected, but it can’t be allowed to influence society or other people. Where do you draw the line between superstition and religion? If you bear in mind that we are living on a small planet in a solar system at the edge of a small galaxy at the edge of the universe, it might be a slight exaggeration to state: We have the answer! This is how matters stand. For us, God has revealed himself. And then gradually write down the story of how the world was created etc. And all religions claim to be the correct and genuine one. It’s just too much for me. I think it’s important that you should be able to criticize and analyze religions, the same way that you can criticize opinions and values. Religious people must be able to cope with that! The UN declaration on human rights must always be first in line before religion or other cultural habits, in case of any conflict between them. It seems to me that this isn’t explicitly stated by our politicians today. Some values must be universal, like human rights and the equal worth of every human being. I believe that politicians in Sweden are too cautious of emphasizing this, probably out of fear of being regarded as discriminative towards non-democratic cultures. Cultural variety is always worth striving for, but must never precede the declaration of human rights. There are brave representatives of other cultures and religions around the world, who takes active part in fighting for human rights, for instance Ayaan Hirsi Ali from Somalia, who fled to the Netherlands. She wrote the book “Demand your Right!” about the repression of Muslim women. Those kind of spokesmen and women from the Muslim world should be taken better care of in the political debate today. She is saying clearly that most politicians are beating about the bush when they’re approaching these questions because they are so afraid of being politically incorrect. I think that it is mostly western and left-leaning liberals who take up that attitude. I consider myself being a social liberal, but on this subject even the Swedish liberals are too careful and scared. Hirsi Ali means, “to avoid telling your opinion” is the worst thing you could do to women in the Muslim world. I also think it’s disrespectful to the Arab culture, implying “they are Arabs, you can’t discuss human rights with them”. It’s an act of discrimination against the Arabs. Of course we should have the same dialog with Muslims about human rights, as we have with others. And also a lot of Muslims are no more religious then the average Swede. For them it’s natural that human rights come first. Christer: Yes there are intellectual circles of Muslims who are very modern and radical. I spoke recently with Jan Henningsson who is the leader of the Swedish institute in Alexandria in Egypt. He speaks Arab fluently and is a teacher at the university there. He told me that there are intellectual Muslims who demand total equality for woman and equal rights of opportunity for homosexuals, things we don’t normally associate with Islam. So apparently, there are internal progressive processes within the Muslim theology. Björn: Yes that’s exactly what I mean. This should be emphasized more in the Swedish debate. Instead Muslims are regarded as incapable of having modern viewpoints at all, which is of course, wrong. But obviously these Muslim intellectuals can’t be literal interpreters of the Koran. Christer: Could you tell me about your intellectual process in reference to your own view of life? When did you start reflecting on these things, was your opinion of those questions the same during your young days? How did your current opinion grow? Björn: I had a short flirtation with religion in my youth, when I studied the Bible. When I was about fifteen I read Dan Andersson’s novel “David Ramm’s Heritage”, about a young man, David, who was pondering over the existential and religious questions. When I read that novel, I thought I would also like to be a brooder and severe. But it was merely a pose. The school and the music started to take over my life and I didn’t have time trying to be severe and pondering! I believe I didn’t really start thinking about religion until fifteen years ago. I got interested in why religion existed and why human beings were in such need of it. I started to wonder about the religious questions which started being asked such a long time ago. Who were the storytellers and why did they tell? Perhaps in order to achieve power and influence, it must have been a very good way of achieving that if you didn’t have soldiers and armies at your disposal. Christer: You wrote the musical “Kristina” together with Benny Andersson about Kristina and Karl Oskar – both strong religious believers. How did you like working with these religious characters? Björn: When I was working with the lyrics, I tried to put myself in Kristina’s position, to find out how, she was thinking. She was a sincere believer and faith for her was what gave her hope to survive in a very hard world. I really could understand why Kristina and the other immigrants held on to their faith whatever the cost. They were so vulnerable out there in the wilderness and worked so hard to survive. But when Kristina loses her child, even she starts to doubt. I put that feeling into words in the song “Du måste finnas!” (“You must exist!”) when Kristina talks directly to God and says “You must exist, without you I’m just a remnant on a dark and stormy sea”. I understand that they needed their faith in those days, to at least have some hope in times of despair. For that kind of religiosity I have a deep respect. But Karl Oskar was no believer Maybe he is Moberg’s alter ego the old atheist. I’m not a believer myself. Christer: You have been active for a long time in show business, both in Sweden and internationally. Sometimes one gets the impression that this business is very involved in the NewAge movement. Some Hollywood stars are scientologists and Madonna is involved with Cabbalism etc. Is it like that and if so why? Björn: People I meet in this line of business in Sweden don’t think I’m more strange then anyone else. But I do believe that many artists are ‘trend-sensitive’ and travel a path that they believe can benefit their career. Many of those who express political views or flirt with the NewAge culture maybe don’t share those views. But I can’t say that I have noticed this very often over the years. Maybe I haven’t met the right people. Did you have a deliberate intention with those words? It is sung in churches and nobody objects to the wish for a “world without religion”. I wrote the Swedish version of “Thank You For The Music” with Niklas Strömstedt and we were both prepared for the fact that it would cause reactions. But not one single complaint has been made! Not one single letter of complaint! I’m actually quite surprised by it, since over 500,000 people have seen the show. When I was working with “Kristina”, I received loads of letters from people who wanted me to make speeches in churches, because everyone believed that I was religious. But I refused. I don’t think it would have been appreciated that a “free thinker” speaks in the church! But I love churches. I think that they are incredibly beautiful buildings and I enjoy the atmosphere and the tranquillity. But that’s not a religious feeling.. By the way I have to tell you a funny episode. When I and Agnetha (Fältskog) were getting married, we found a beautiful castle where we would like to give the party. We got hooked on this castle, and there was a church connected to the castle that we thought was so beautiful, that we decided to get married in the church, mostly for tradition. He didn’t know how right he was. Christer: A lot of people believe in different pseudoscientific treatments and prescriptions, like healing. I can sometimes experience a moral dilemma, when it comes to how strongly you should reject these things. If a good friend is incurably sick, and believes this would help, do you really have the right to take away his hope, through arguing against treatment methods that are unconventional? At the same time it is deeply immoral of some charlatans to take advantage of desperate people. Björn: I know exactly what you mean. I have a good friend whose wife is dying of lung cancer. He tried all kinds of alternative treatments, although he himself didn’t believe in them. But he thought he had nothing to loose. It’s a difficult moral question, with no obvious answers I think. It’s easier if someone believes so strongly in pseudoscientific treatments and prefers to choose that instead of medical treatment. Then you have put your foot down. I have recently read the book “Science and Delusion” about pseudoscience and other delusions. Isn’t it strange that people can believe in so many weird things! Christer: Exactly. That’s why Swedish Humanist Association have offered a prize of 100,000 kronor which goes to those who can show any paranormal ability under scientifically controlled conditions. I don’t expect to be running the risk of handing out the price money. Björn: That’s excellent! I think there should be a TV show made about it as pure consumer guidance. I don’t understand how society and the scientists can accept so much quackery and cheating in our society. We should have more explicit laws in this area. Our scientists who are aware of this problem should debate more often in the media. The problem is that the media in some way make a profit on these things. Horoscopes, and TV shows about the spiritual world etc. Maybe they don’t want it to be revealed. Christer: How do you look at the political development in the US in the light of President Bush’s distinct religious beliefs? Do you think Sweden might become more religious? Björn: Yes it’s very distressing. US should have been our allies in the fight for secularization! The struggle against terrorism is weakened if it’s regarded as a battle between Islamic and Christian fundamentalists. But at the same time I don’t think the American people are as religious as they seem. When they answer in various surveys that they believe in God, it makes me wonder if it’s simply a routine answer. The church in America is also very much a social constitution. Let’s hope that a Democrat will win the election after Bush, perhaps Hillary Clinton? Christer: What’s your opinion about Jesus and the mythology surrounding him? Björn: The story of Jesus is very fascinating. It still has such a tremendous power, even after 2,000 years! We don’t really know if he existed as a historical figure. It’s hard to understand that people can imagine Jesus as a personal friend, whom they can turn to in times of trouble. What an incredibly powerful myth that is! I doubt that Jesus existed as a human being, even if I don’t think it matters in the least to a believer today. A lot of people who were around at the same time as Jesus are well documented by the historians of the time, but there are only one or two references to Jesus. Christer: You who write stories and work as a dramaturge, could you tell me what kind of dramatic qualities in the story of Jesus has led to such an enormous impact? Björn: The whole story of the Virgin Mary and the three wise men, Jesus’ birth and later the return to Jerusalem, though he knew what was in store for him, is a narrative technique of pure genius. Not to mention all the miracles, the cruel crucifixion – where Jesus himself must drag the cross to his own execution and later on the resurrection. Everyone loves these stories. His arrival in Jerusalem must have been like the Beatles’ arrival in New York, no contemporary historians have documented that as far as I know. Christer: So it was a smart move by Andrew Lloyd Webber and Tim Rice to write the musical “Jesus Christ Superstar” wasn’t it? Half the work was already done so to speak? Björn: Yes, it was a fantastic success. It was even moderately blasphemous. Tim Rice told me that they had to tackle many problems in the US, where many people protested against the way they described Jesus. Herod is portrayed as a star and the image of Judas wasn’t approved of either. But above all you were not allowed to present a picture of Jesus the way they did. Christer: Thanks for this conversation! Interview by Christer Sturmark. Translation to English by Marika Granerus.